The North American Retail Hardware Association (NRHA) has celebrated independent home improvement retailers for a century. 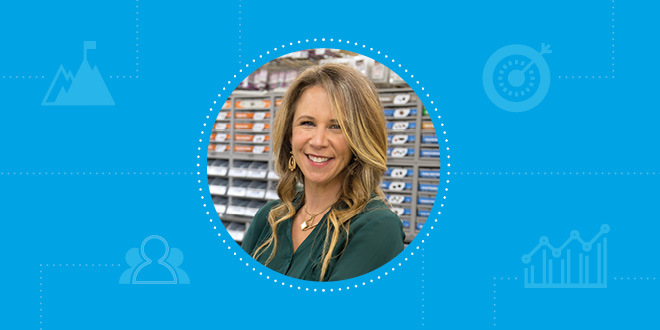 For the last 11 years, NRHA and Hardware Retailing magazine have honored high-achieving retailers through the Top Guns program. These remarkable business operators often lend a voice to national conversations and extend a hand to their neighbors. This year’s Top Guns are the first all-female group in the program’s history. While the home improvement industry may still be predominantly male, many women own and operate successful businesses. NRHA highlights these four women who are moving the industry forward. Center Hardware & Supply serves mostly commercial and industrial customers in downtown San Francisco. In that environment, Jamie Gentner sees unique challenges with the decline in trade professionals. 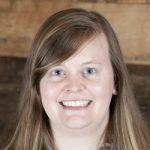 She is passionate about the industry working toward a solution. Hardware Retailing (HR): Can you give us a little background on your company and how you got involved in the business? Jamie Gentner (JG): Center Hardware has been operating in San Francisco since 1880, so it’s been reinvented several times to change with the city. It began as a hardware and glass shop, and then eventually lost the glass to concentrate more on hardware. 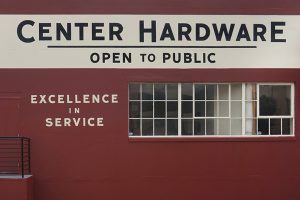 When my father bought the business and merged it with the San Francisco neighborhood store (opened by his great uncle after the 1906 earthquake), he shifted Center Hardware’s focus to commercial and industrial hardware supplies. He concentrated on municipalities, facility engineers, contractors and trade professionals while maintaining a healthy inventory for walk-ins. Those customers include makers, DIYers, artists, students, homeowners and renters, local businesses, restaurants and designers. HR: When did you decide this is what you wanted to do? JG: I started working at the store when I was about 11, but during high school I chose to work at clothing retailer the Gap, and then during college I worked at Kelly-Moore. I eventually ended up with a degree in copy editing and print journalism. I moved back to San Francisco and asked to work at the store while I was job hunting. During that time, I realized I’ve always been proud of my father’s work, and I loved the store, its customers and being in it. So I decided to stay on full time; I was 23. HR: What challenges does your business face in an urban environment? JG: Crime is always a challenge. Recently, we had our propane cage broken into and 16 tanks were stolen. San Francisco’s unemployment rate is 2.6 percent right now with unprecedented housing costs, so recruiting new people to our team is also a real challenge here. It can be difficult to compete with the endless perks that some of the tech companies provide. We aren’t a direct competitor for a software engineer, obviously, but when there’s gossip about work perks, people listen, and they want those things, too. We have high rent, high wages, higher costs of doing business, but we still have to offer competitive prices. We can’t charge $100 for a hammer that sells across the country for $20. We work tirelessly to make it up in volume. Center Hardware & Supply recently moved locations in downtown San Francisco. In four days, the staff helped move 70,000 SKUs. HR: What training initiatives have you invested in? JG: We traditionally have people on staff who have experience in the trades. Not always, but at least a few of them. They can help supplement knowledge on our salesfloor for people who haven’t worked with the material. We try to have a staff with experience actually using our products, and we’ll look for that when we’re recruiting. 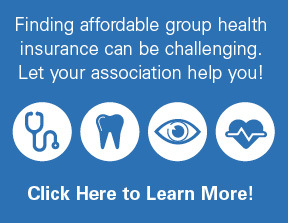 For other training, we use videos that Ace provides and videos from NRHA. 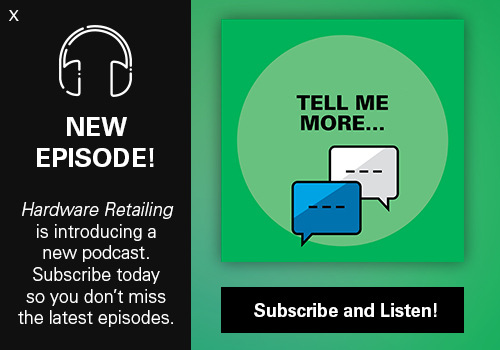 Everyone needs to leverage any opportunity to strengthen their store, and if you aren’t already, you should take the time to dig into the well of resources that wholesalers and NRHA provide. We’ll also bring in vendors to do daylong training. The vendors can show our associates how the products work and detail their benefits. Sometimes, we’re able to host all-day plumbing and electrical training through the Ace Dealer network, which is hands-on training. The trainees who participate in those events actually run a complete circuit in between studs and get a lightbulb working. The man who led a recent class was from a local community college, but it’s difficult to find people who are willing or know how to do that. As the trades diminish, those people who have that knowledge and those skills don’t have as much time to come in and do demos. Experience and knowledge is something we look for, but it’s not always the first thing. If we find someone who is totally jazzed and excited about retail, we would go for that, because that’s hard to find now. HR: Can you overview the move your business went through recently? JG: In 2016, SocketSite, a San Francisco real estate trends website, reported without fact-checking that Center Hardware was closing its doors for good because housing development plans were submitted for our site in San Francisco. Although we were in the process of finding a new location, we weren’t closing. We needed at least 20,000 square feet in a tiny city with parking and access. It seemed impossible, but our customers and other businesses started calling us with ideas for where we should go, telling us about properties, feeding us ideas and connections. We have a great relationship with our landlord, and even though we looked at several sites in San Francisco, we ended up in a fantastic location with the same landlord. We began the prep of moving a store that was 140 years old from an old steel warehouse it had lived in for 30 years. We had 70,000 SKUs in about 16,000 square feet. After many months working with paper and ideas, we took our amazing crew of people, called in every favor, apologized in advance to everyone and closed for the four business days between Christmas and New Year’s in 2016 and were able to open for customers at the new location on Jan. 3, 2017. Everything that could go wrong essentially did. Construction was delayed. Some of our staff worked 52 days straight. Things broke. Fixtures were missing. Merchandisers set our sections wrong. New critical inventory was delayed from storms. A terrible cold ripped through the staff. The new paint machines didn’t work properly. We’d been in a drought, so no one had any idea the roof was going to leak in a million places. Our customers were calling wanting to know why we were closed. It became a public relations nightmare fighting rumors that we were no longer in business. It was a Herculean effort by many and because of it, we can all be proud of having a store with an unmatched depth of inventory, that’s bright, organized and beautiful. It was a tremendous feat that’s rewarded daily by our commitment to and from our customers, trust earned from our vendors and a whole bright future to figure out what’s next. HR: What growth opportunities are you looking into? JG: We spent the last year watching, listening and learning. It gave us a tremendous amount of information to reinvent our outside sales department. We have reconnected with a number of groups in San Francisco to have these conversations about why they should invest with us and not Grainger or HD Supply. 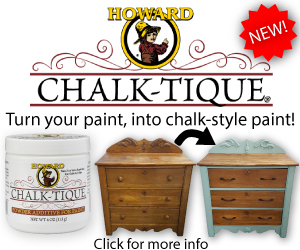 We are bringing in tool lines that increase our foot traffic and credibility. Last year we became the only full-line Festool dealer in San Francisco, and we’re proud to be chosen this year as the first STIHL dealer in the city. We carry the full line. With our new location, we have an amazing amount of space outside, so we are working with our neighborhood and often host makers, pop-up shops, food trucks, tool demos and DIY projects. HR: What unique challenges do you think independent retailers face in today’s market? JG: The stock answers for all of us have to do with online competition, securing inventory that can provide healthy margins and creating a workplace that inspires people to choose retail in 2018. Those are all real and massive challenges. It is increasingly difficult to target the trades as customers, and as that workforce diminishes, who will replace them? Home Depot, Lowe’s and others are bringing solutions to the table, but the skilled labor shortage is a national stigma that we all should be working together to address. What’s the solution to the diminishing trade workforce? How can independent retailers help bring them back? I really think we need to stop talking about it on a micro level. Everyone needs to come together. The entire industry—all the big boxes and the independents and NRHA—needs to be in the same room and agree to the same message. There needs to be a message targeted to parents that takes the shame away from choosing the trades as a career path. It’s an important conversation, and all of us need to participate in it. Everyone needs to find their comfort level. It’s critical at this point, as far as doing your part. As a first step, we’re implementing tool-buying programs for people who have just completed trade programs. We get a customer, and they get discounted products. I would encourage every store to find what the version of a trade program is in their community. Whether it’s a city program, a trade school, a union, whoever it is that still supports skilled labor and trades. Partner with those groups, not necessarily financially, but let them know you support them and want to help. It’s harder and harder to be independent, but so many owners I know connect to their cities in such a critical way and that’s inspiring. 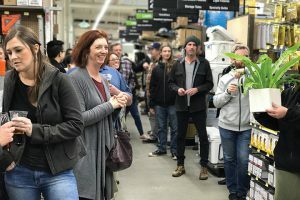 The event at Center Hardware & Supply that raised money for the trade program at the local high school brought in 150 attendees. HR: Can you talk about the value and importance you place in furthering your education and networking with other independent retailers? JG: I learn from other retailers on a weekly basis and I am so thankful for it. Center Hardware is stronger because of it. We make sure our staff is always learning by engaging our vendors as teachers for product knowledge and listening to staff feedback. It’s important to get outside feedback, too, and check your ego at the door. We have found valuable ideas from people outside the hardware channel because it’s a fresh point of view. We also got recommendations from other independent stores to find other types of products we should carry. Products that relate to hardware, but are locally made. I’ve also looked at places outside the industry for hiring. I’ve talked to other retailers in town to find out how they are recruiting people to work in their shops. A well-run business can look like anything. I’ve also gotten a lot of information using direct messages on Instagram. On social media, people respond immediately. If I can’t get access to a higher up person, I’ll reach out to the company in a direct message on Instagram, and every time, I’ve gotten what I needed. I think retailers everywhere can find those opportunities. It’s rare that you are a lone wolf in town. If you are isolated, you can still build that network. You can take part of a day once a month and go have lunch with someone. Connect yourself to other people.